People arrested for a wide variety of crimes in the Twin Cities are generally taken to a pre-trial detention center, which is usually the county jail. These jails, which might also be called detention centers or county jails in some cases, are operated by the sheriff's department of each county. An online search is always your best first option, as nearly all sheriff's departments maintain up-to-date, searchable lists of inmates in their jails. Names of those who have been arrested and booked can be found online by searching for bookings and inmate rosters, and further information may be obtained by calling the jail. If you need to find someone who has been already been ​tried and convicted, they would be held any of the local correction centers, such as the Hennepin County Adult Corrections Facility. To find someone who has been sentenced to a jail term, search online for the corrections center in the relevant county. 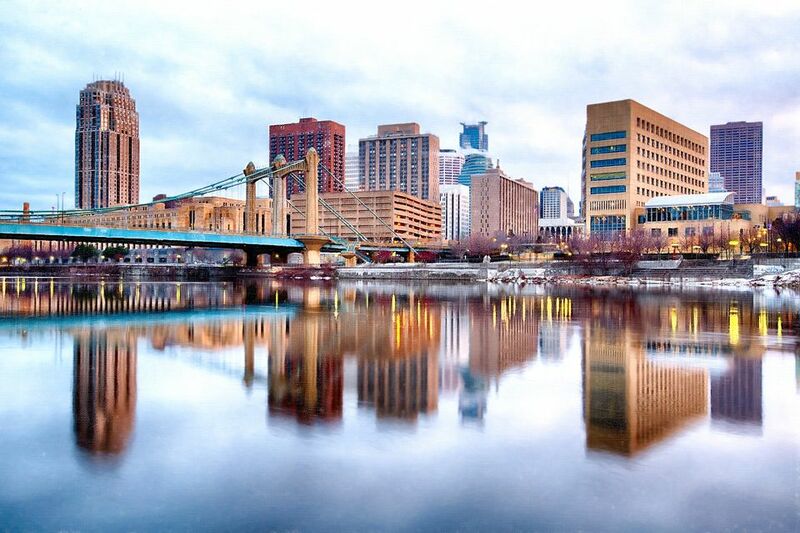 Adults arrested in Minneapolis, Edina, Wayzata, New Hope, Brooklyn Center, St. Louis Park, Bloomington, Minnetonka, or elsewhere in Hennepin County are taken to the pre-trial Hennepin County Adult Detention Center, in downtown Minneapolis. You can search the Hennepin County jail roster for people who were recently arrested and are being held at the jail pending trial. Adults arrested in St. Paul, Maplewood, Roseville, White Bear Lake, and elsewhere in Ramsey County are taken to Ramsey County Adult Detention Center Jail, located just outside downtown St. Paul. You can search the Ramsey County Jail list of warrants, arrests, and bookings for people who were recently arrested and are being held at the jail. Adults arrested in Anoka, Blaine, Columbia Heights, Andover, Fridley, and elsewhere in Anoka County are taken to Anoka County Jail, which is in the city of Anoka. You can search the Anoka County Inmate Locator for people who were recently arrested and are being held at the jail. Adults arrested in Eagan, Apple Valley, Hastings, Lakeville, South Saint Paul and elsewhere in Dakota County are taken to Dakota County Jail, which is in the city of Hastings. You can do a search Dakota County Jail inmate search for people who were recently arrested and are being held at the jail. Adults arrested in Woodbury, Stillwater, Cottage Grove, Lake Elmo, Oakdale, Forest Lake and elsewhere in Washington County are taken to Washington County Jail, which is in the city of Stillwater. You can search Washington County Jail booking reports for people who were recently arrested and are being held at the jail. Adults arrested in Shakopee, Savage, Crystal, Jordan, Prior Lake, and elsewhere in Scott County are taken to Scott County Jail, which is in the city of Shakopee. You can search the Scott County Jail inmate roster for people who were recently arrested and are being held at the jail. Adults arrested in Carver, Chaska, Belle Plaine, Waconia, and elsewhere in Carver County are taken to Carver County Jail, which is in the city of Chaska. You can search the Carver County Jail daily inmate rosters for people who were recently arrested and are being held at the jail.